Best known for her striking oil paintings of bears, Erica Neumann paints a wide range of subjects. 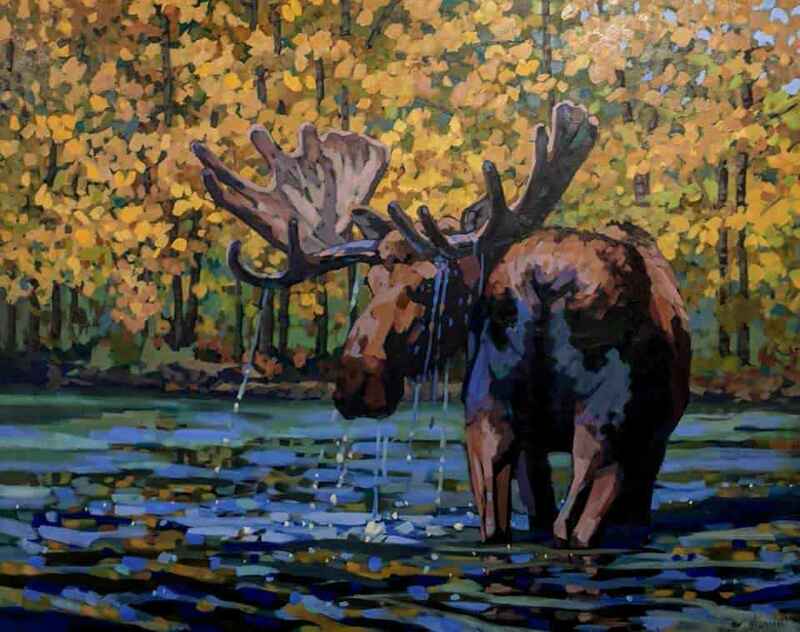 Her wild brushwork and dramatic colouration are intended to match the nature of the animal as she celebrates her love of both Canadian wildlife and the very paint itself. Erica is a graduate of the Ontario College of Art- Fine Art program, and lived in Canmore, nestled in the Rockies, for 6 years before moving to Calgary, then Okotoks, where she now resides. 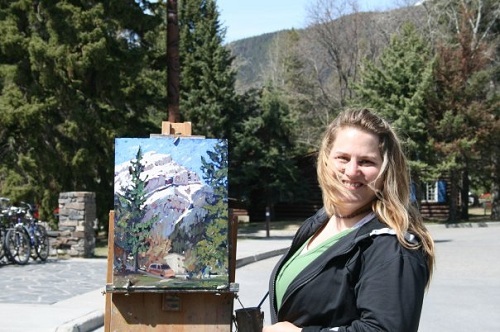 Painter and instructor, Erica lives with her partner Gary and their daughter Peta. Respect for wildlife and wild creativity fuel her passion, as Erica is continually striving for excellence, growth and authenticity in her art.